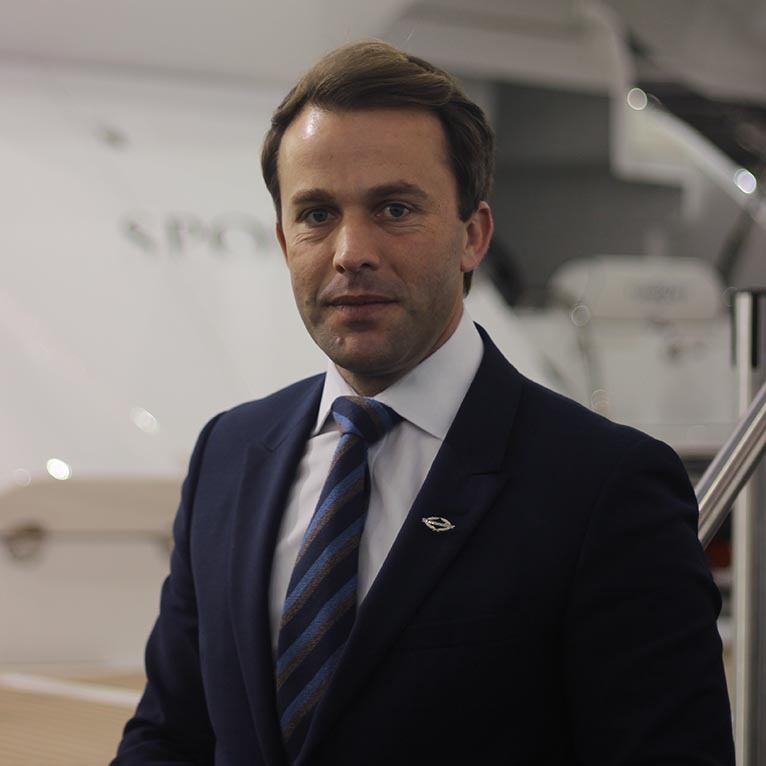 Starting work for the Sunseeker London Group in 2007, Tom has continued to grow his knowledge of both new and pre-owned Sunseeker boats. Tom enjoys a real passion for the brand, savouring every minute onboard a boat, whether it’s a true classic from the late 80s or newly out of the mould. Tom always emphasises that boating is a ‘lifestyle not a hobby’ to his clients, something that is reflected also in a career as a broker. For Tom, it is a way of life as opposed to a career, and he enjoys nothing more than handing a over a boat to a new owner. Now Sales Director of Sunseeker Torquay and One Brokerage, a brokerage division of the company tailored for non-Sunseeker power boat and sailing yachts, Tom is always happy to welcome visitors to his Torquay Marina office. When time allows Tom is a keen shot and enjoys time in ‘the field’ with both friends and customers.